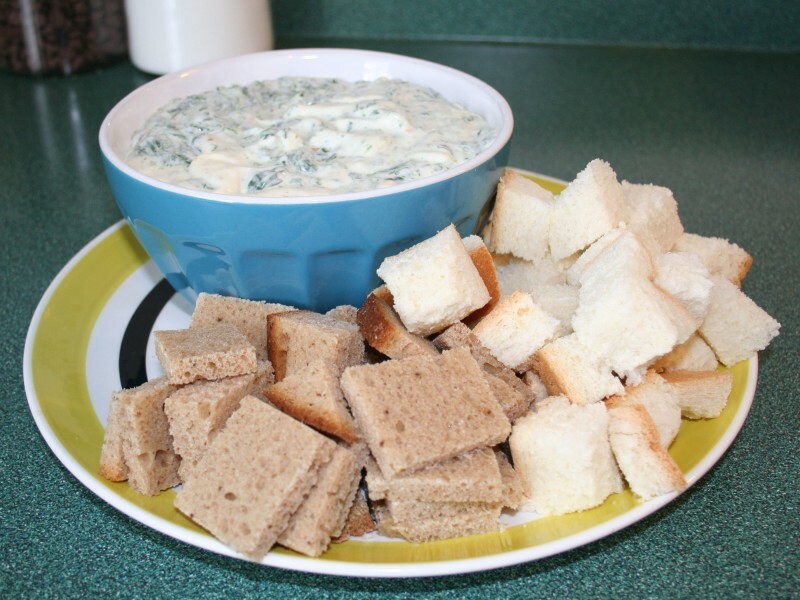 It's hard to go wrong with spinach dip. 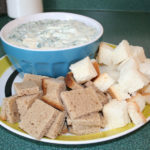 It's tasty, gives you a few vitamins with all the fatty dip calories, and tastes fabulous. It always goes down great at a party. I've tried several recipes, and this is my favorite - great taste, not too much work.